As part of the Distinguished Economist Seminar Series, the Lahore School Economics Society (LSES) organized a seminar on February 26, 2015. The guest speaker was a renowned Indian economist Dr. Deepak Nayyar who talked about “The West and the Rest in the World Economy: The Next Transformation” based on his recent book ‘Catch Up: Developing Countries in the World Economy’. 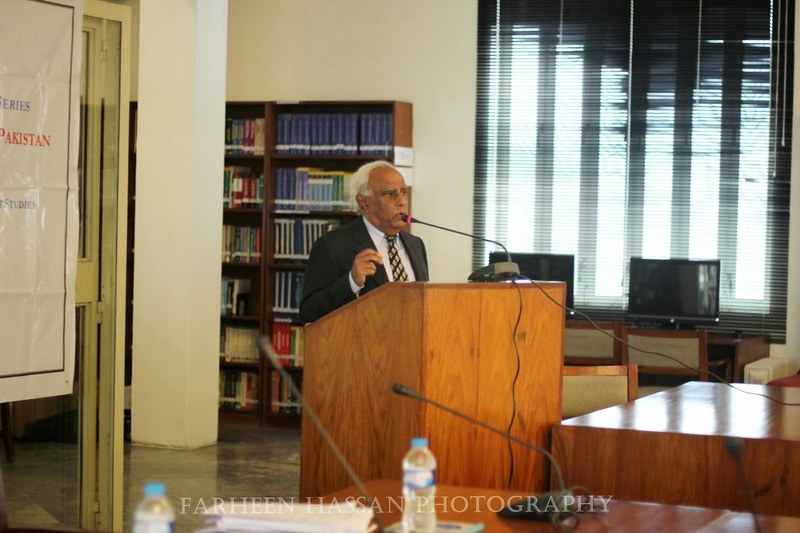 The seminar was chaired by the patron LSES, Dr. Waqar Wadho and was attended by distinguished professors and economists including Dr. Shahid Amjad Chaudhry (Rector, Lahore School of Economics), Dr. Rashid Amjad (Director the Graduate Institute of Development Studies (GIDS)), Dr. Azam Chaudhry (Dean, Department of Economics, Lahore School of Economics), Dr. Naved Hamid (Director, Center for Research in Economics and Business) and Dr. Irfan-ul-Haque (Special Advisor for Financing for Development, South Centre, Geneva), faculty members of Lahore School and a large number of both graduate and undergraduate students of Lahore School. Dr. Deepak in his talk provided a comprehensive overview of the evolution of developing countries in the world economy, situated in a long term historical perspective, from the onset of the second millennium but with a focus on the second half of the twentieth century and the first decade of the twenty-first century. He highlighted the overwhelming significance of what are now developing countries in the world until 200 years ago to trace their decline and fall from 1820 to 1950. Dr. Deepak emphasized that there is no single formula for growth and different sets of policies seem to have worked well in different settings, but economies relying on market as driving force have minimized market failures and those relying on government as central have minimized government failures. Also, growth has often not been transformed into meaningful development that improves the wellbeing of people. However, he optimistically asserted that the beginnings of a shift in the balance of power in the world economy are discernible and developing countries can sustain this rise only if they can transform themselves into inclusive societies where economic growth, human development and social progress move in tandem. 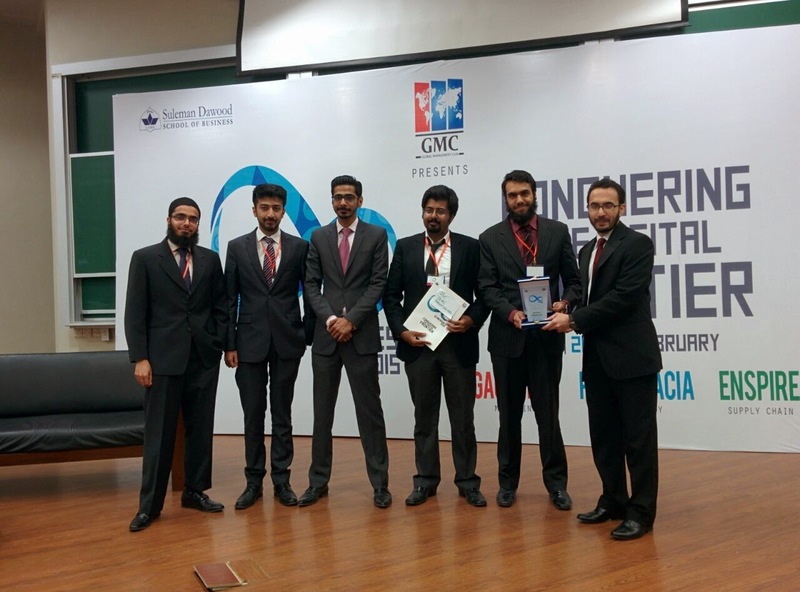 Lahore School of Economics MBA students won the LUMS Synergies 2015 Perspicacia Case Competition held on February 20-22, 2015. Imran Sajjad (Sec B), Farhan Duraiz (Section B), Hamza Wasim (Section C), Saad Khalid (Section C) and Ameer Ismaiel (Section C) participated in the competition. 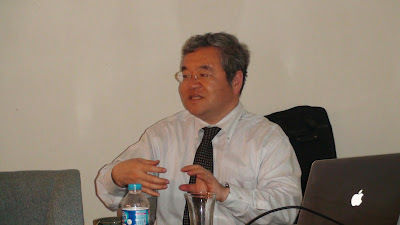 Dr. Takuya Nakaizumi, Professor of Kanto-Gakuin University Japan and member of Commission of Administrative Evaluation Bureaus of Ministry of Internal Affair and Communication Japan presented a lecture to the students and faculty at the Center for Research in Economics and Business (CREB), Lahore School of Economics on February 24, 2015. Dr. Nakaizumi is a JICA technical expert on Regulatory Reform and Regulatory Impact Analysis at the Economic Reforms Unit (ERU), Ministry of Finance Pakistan and his expertise is in the areas of Applied Game theory, especially Economics of Regulation and Industrial Organization and Contract Theory. 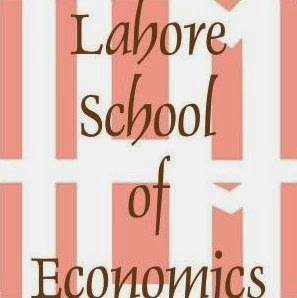 As part of the Distinguished Economist Seminar Series, the Lahore School Economics Society (LSES) organized its first seminar on February 18, 2015. The guest speaker was a renowned Pakistani economist Dr. Rashid Amjad who talked about “Re-igniting economic growth in Pakistan”. 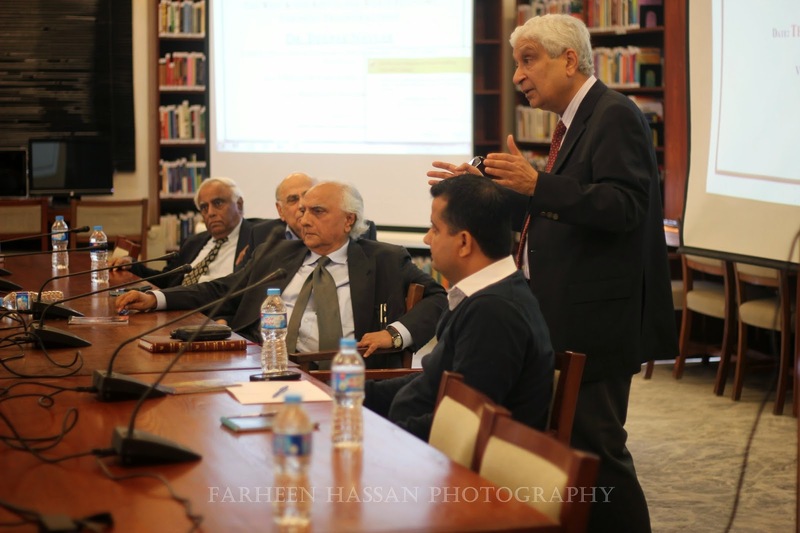 The seminar was chaired by the patron LSES, Dr. Waqar Wadho and was attended by distinguished professors and economists including Dr. Shahid Amjad Chaudhry (Rector, Lahore School of Economics), Dr. Azam Chaudhry (Dean, Department of Economics, Lahore School of Economics), Dr. Sohail Zafar, (Dean, Department of Business Administration), Dr. Naved Hamid (Director, Center for Research in Economics and Business) and Dr. Irfan-ul-Haque (Special Advisor for Financing for Development, South Centre, Geneva), Dr. Shakil Faruqi (Professor, Lahore School of Economics), faculty members of Lahore School and a large number of both graduate and undergraduate students of Lahore School. Given his expertise on the management of Pakistan economy, Dr Rashid focused this seminar on the issue of economic growth in Pakistan. He started off the analysis by providing a very comprehensive overview of the performance of Pakistan economy in the past decades and highlighted the need to focus on the ‘binding constraints’ that hamper growth. He argued that foreign exchange has been a binding constraint for decades. In recent years, due to inadequate focus on energy, today, the most important constraint that the Pakistan economy faces is the energy shortage and therefore, the government should target this as its highest priority. He suggested that the falling oil prices present a window of opportunity which should be exploited to alleviate the existing constraints. In his concluding remarks, Dr. Rashid advised the young economics students to focus on the underlying theory and fundamentals of economic policy-making along with thinking out-of-the-box so that more creative yet pragmatic solutions to the existing economic problems can be suggested. 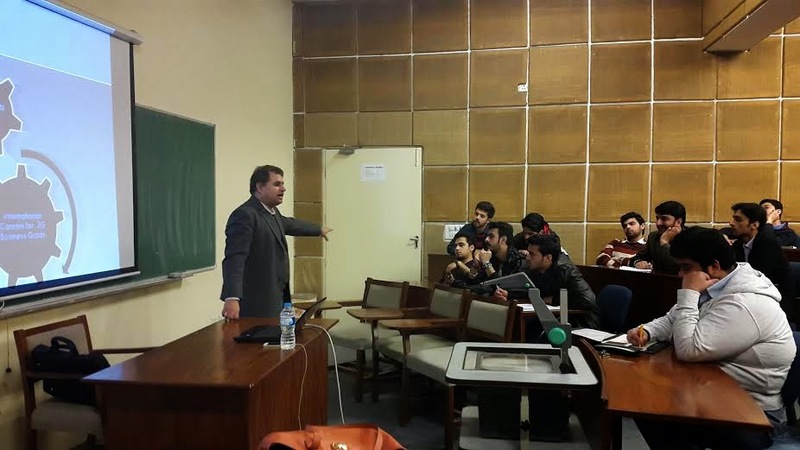 The Marketing Society of the Lahore School invited Mr. Adeel Hashmi and Mr. Daud Randle to talk to the students about Advertisement and Digital Media on 13 February 2015. A large number of students both MBA and undergraduates welcomed the guests and listened to them with attention. Adeel Hashmi, a famous Pakistani television actor, social worker, producer and screen writer, and brand ambassador for Ufone, spoke for about 70 minutes and won over the audience with his natural style of speaking and his sparkling wit and sense of humor. He advised the audience to also be mindful about the negative aspects of advertising as some ads promoted wasteful expenditure. He also urged the students not to allow their egos expand too much and gave examples of world class talented people who carried on with their lives in a modest manner. 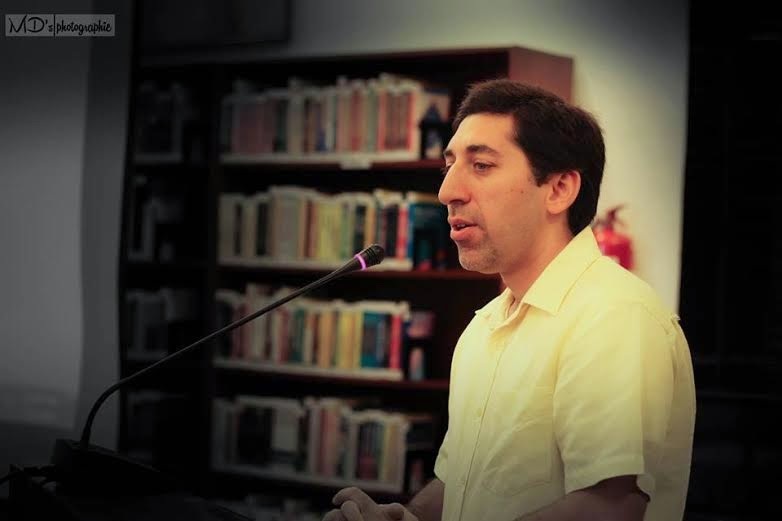 Mr. Badar Khushnood, “Entrepreneur in Residence” of BRAMERZ, previously of Google, alumnus of the Lahore School, along with his team Haris and Tamkinat, delivered two outstanding sessions on DIGITAL MARKETING at the Lahore School of February 18-19, 2015 in the Marketing Strategy course of the MBA program. 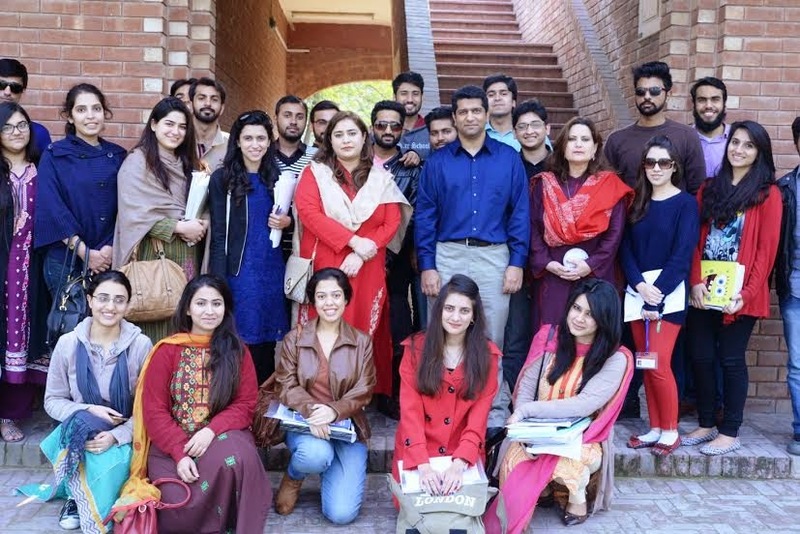 Badar, who has worked for Google, Nishat Mills, SMEDA and even for Ali Baba, and is one of the most experienced and successful Digital Marketer in the country, was welcomed at the Lahore School – his alma mater, with open arms. The presentations, and the sessions of questions and answers, were both handled by the three-member team jointly. Lahore School of Economics hosts one international conference each year on the Management of the Pakistan Economy and four national conferences on Managing Business in Pakistan, Social Sciences, Mathematics and Statistics and Environmental Science and Policies. 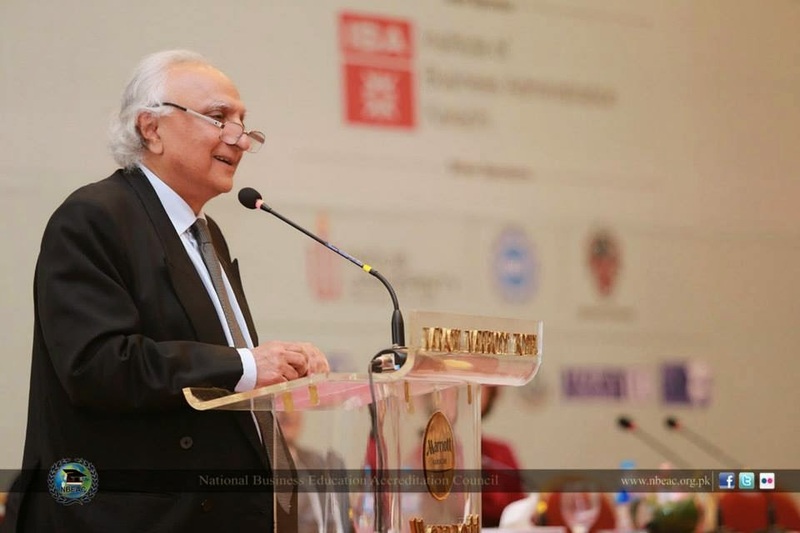 A five member delegation of Lahore School of Economics led by Dr. Shahid Amjad Chaudhry attended the second NBEAC (HEC) Deans and Directors Conference 2015 in Karachi from 9-12 February. The Conference, held at three venues, and attended by some 100 plus Pakistani business schools, was convened by NBEAC-HEC. The Conference, titled “Building Bridges and Fostering Collaborations in Business Education”, held multiple sessions, including “Academia and Corporate Linkages”, “Experience of International Linkages”, “Developing Entrepreneurship”, “Strategic Planning for Business Schools”, “Promoting Research Collaborations and Commercialization” and “Promoting CSR”. The format included speeches by keynote speakers and panelists, and questions and enthusiastic discussions by the participants. 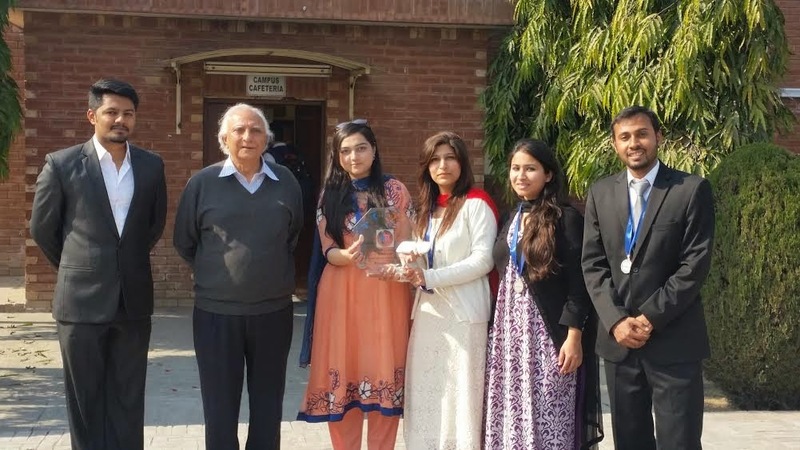 Lahore School of Economics won all the top positions in three competitions at the Lahore University of Management Sciences HR Confluence held on February 7-8th, 2015. The event aimed to bring together the corporate community and the upcoming generation of managers/leaders and the major theme of the overall competition was the Strategic Role of HR in Adapting Change within Organizations. There were three flagship competitions - HR MASTERS Case Study Competition, Simulations and HARVARD EVEREST Leadership and Team Work Competition - followed by the Panel Discussion, Workshops, Networking Lunch and Social events. 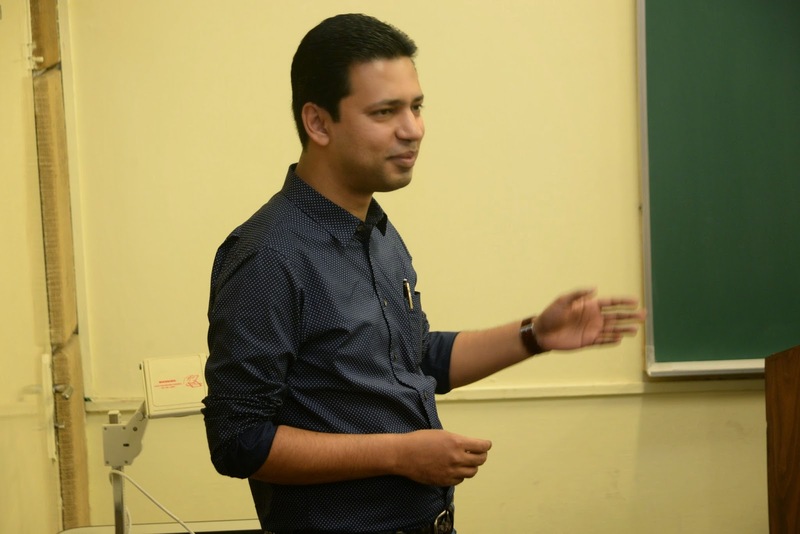 Mr. Adeel Anwar, Recruitment Specialist- Tetrapak delivered a lecture to the graduating students of The Lahore School of Economics on January 30, 2015. Mr. Adeel Ahmed focused his presentation on understanding of the interview process and steps that a multinational is likely to follow during the process including a functional interview (related to the job), Human Resource interview, Competency based interview (CBI) and an assessment. 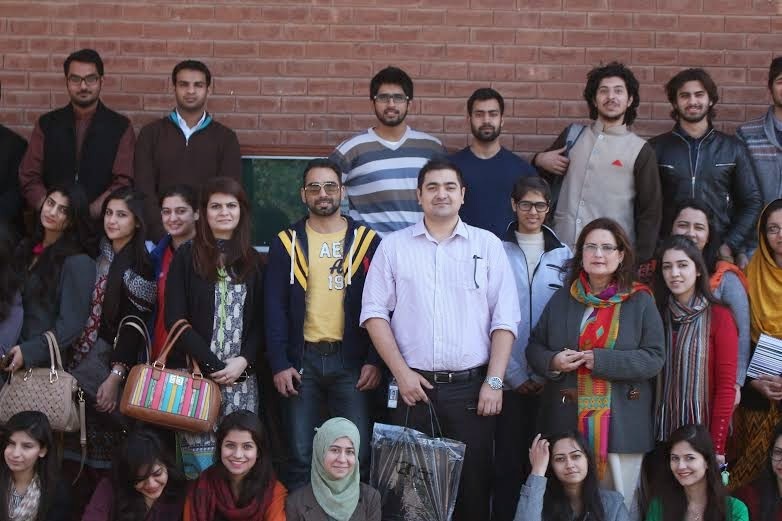 Lahore School counseling session for the graduating BBA class was held on February 3, 2015. Mr. Adeel Anwar, Director Organizational Excellence at Warid Telecom was the distinguished guest. Mr. Anwar shed light on the pre-requisites for corporate careers and explained the significance of having “soft kills” like integrity, fair mindedness, a persuasive congenial personality, ability to cope with conflicting point of views, functioning under pressure and demonstrating discretion in order to pursue a great career. He emphasized the importance of acquiring “hard skills” such as computer proficiency, high impact written and oral communication skills, analytical skills and principles of business. Mr. Monis Rahman, CEO- Rozee.pk and a regular speaker at the Lahore School, visited our campus on February 9, 2015 to share his views MBA class of “Advanced Operations Management” class. During his lecture, he covered variety of related topics in the light of his own rich experience. Students asked interesting questions about back end operation. 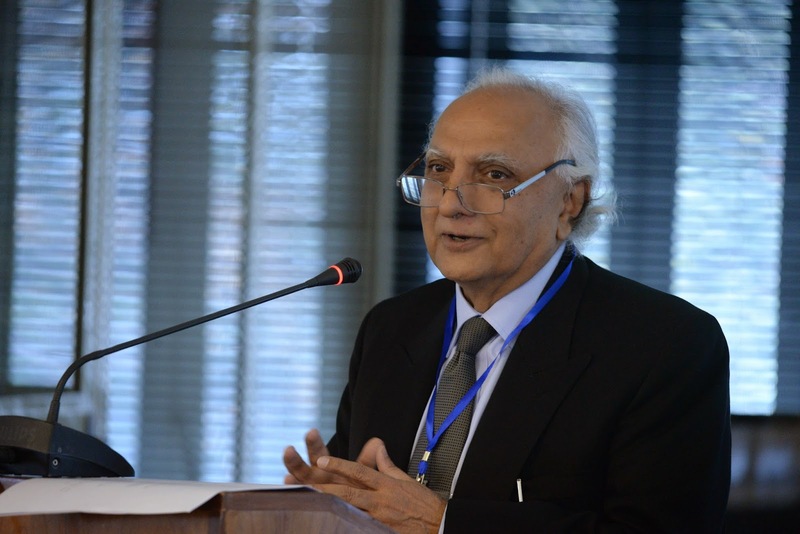 The First Annual Conference on Mathematical and Statistical Models in Economics, Finance and Applied Sciences started on Friday February 6, 2015 at the Main Campus of Lahore School of Economics. The conference provided an opportunity for eminent Mathematicians, Physicists, Statisticians, Economists and Social Scientists from all over the country to come together and learn from each other. The conference was inaugurated by Dr. Shahid Amjad Chaudhry, Rector of the Lahore School of Economics and Dr. Rana Abdul Wajid, Director, Centre of Mathematics and Statistical Sciences, Lahore School of Economics who warmly welcomed all the guests and faculty members from institutions across the country. Dr. Shahid Amjad Chaudhry explained the critical objective of providing a platform for all likeminded academics from all over Pakistan to join together in research collaborations while Dr. Azam Chaudhry, Dean of Faculty of Economics, Lahore School of Economics delivered the keynote address on “The Role of Mathematics and Statistical Sciences in Social Sciences”. 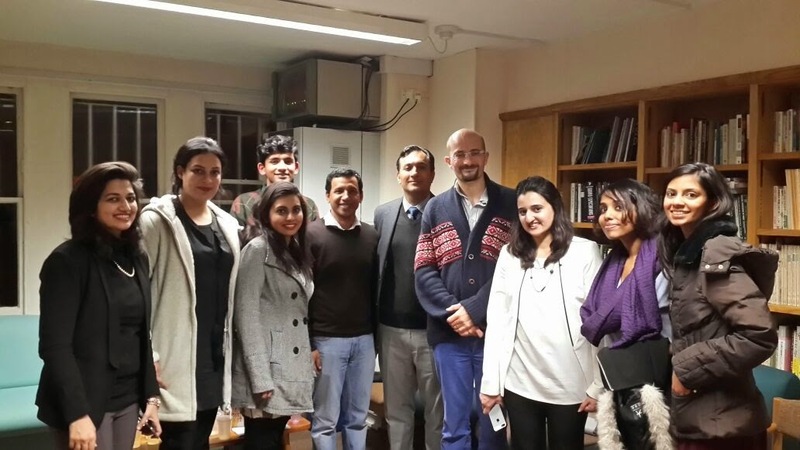 In January 2015, the Lahore School of Economics launched a Visiting Scholar Program with the School of Interdisciplinary Area Studies (SIAS) at Oxford University - the Oxford-Lahore School ILM Program. The first batch of four Lahore School students from the PhD Economics program are currently registered for the Lent term and are attending lectures and seminars as well as interacting with faculty from both SIAS and the Department of Economics at Oxford to discuss their dissertation research. The students are being hosted by Professor Matthew McCartney (Director, South Asian Studies) at Oxford University. Professor McCartney inaugurated the ILM Program along with Dr. Azam Chaudhry (Dean, Department of Economics, Lahore School of Economics) and welcomed the four scholars: Rabia Arif, Maryiam Haroon, Zunia Tirmazee and Nida Jamil. The scholars also met with Hermoine Lee (President of Wolfson College, Oxford University) to discuss areas of further collaboration between Oxford University and the Lahore School of Economics.